Samsung's Galaxy S8+ is going to do better, sales-wise, than the company anticipated. This is according to a new report out of South Korea, which cites unnamed industry sources. These claim that the bigger model in the company's flagship duo has received positive early reactions from retailers, which have placed orders for more units than Samsung initially expected them to. Thus, Samsung has upped the production levels for the Galaxy S8+, which will now make up 45% of the total number of S8 units made. The initial plan was to have the split at 60/40, with 60% of the devices being the smaller S8, and only 40% being the bigger S8+. 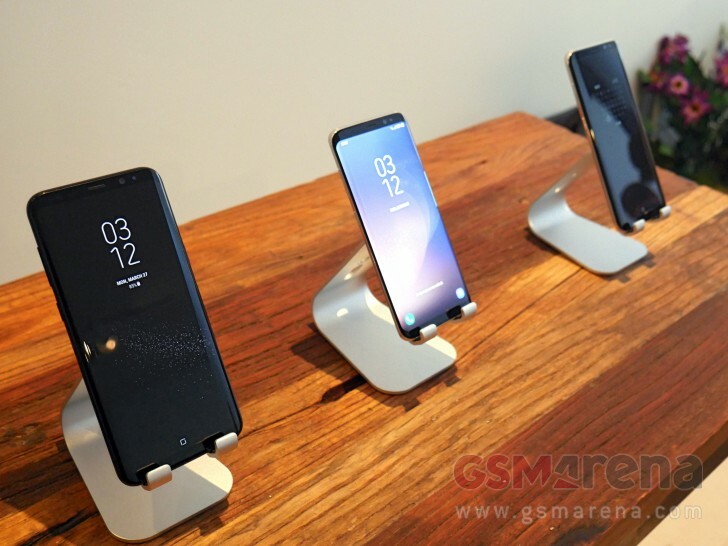 The company may further increase the ratio of S8+ handsets being produced after pre-orders have been available for a while, depending on how many it gets for either version of the phone. To put things in perspective, last year with the S7 duo, the S7 edge started out only making up 30% of the initial production volume. However, that ratio went up to 70% at the end of 2016 due to soaring demand - which probably had something to do with the Note7's demise, as Samsung fans were looking to pick up the closest possible replacement for that. Samsung is allegedly preparing 20 million S8 and S8+ units for the launch that will happen later this month. That's apparently double the volume made available for the S7 duo's arrival last year. Samsung publishes Galaxy S8's "Design Story", using phrases such as "holistic oneness"
It have big sense for VR. Im waiting for higher resolutions. Lmao you went after that rabid Sony fanatic hard.